I wonder if you could help me or suggest some advice as I am trying to track down/contact a school friend from Newcastle upon Tyne, England called Raymond Mills. 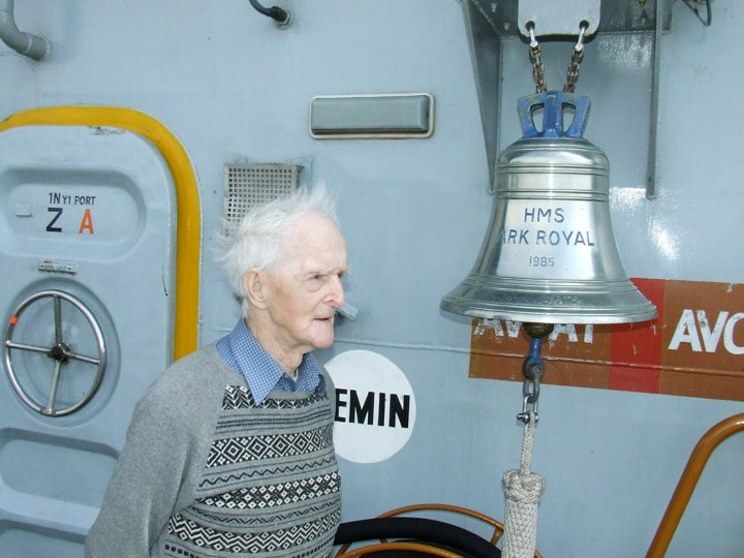 Raymond was a radio operator on the Ark Royal up to 1988. Raymond visited me when the Ark Royal visited Fremantle in western Australia in 1988. We are both 60 year old this year and I thought I would have another effort to locate him as we lost touch when he left the Ark Royal to work on land at I think Marconi or something similar. My Granddad aged nearly 96 and a WWII veteran who served in the Royal Signals UK - George Eric Sherwood. was taken around your ship today whilst it is docked in Halifax, NS and treated like royalty.. I would like to take this opportunity to thank you for treating him like you did... he claimed that he had the best day of his life.. and for you to accomplish this in a 96 year old is quite fantastic!! He went to sleep tonight singing hymns and still buzzing from the tour you gave him and the fact you piped him off the ship... Thank you so so so so much!!... God Bless you all!!! I live in Sydney and am trying to contact an officer that was on the HMS Ark Royal in 1988 in Sydney. I had is details but as it is 20 years next month I have lost them. His name was LRO (T) M Anderson (Andy). He was FOF to staff. I really would like to find him but I have no idea where to look. I hope you can help.